Bentonite clay mask is excellent for exfoliating and clarifying the skin. 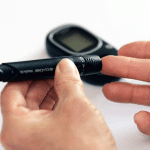 People have used it for ages to detoxify and remove impurities from the body. It is used today in beauty recipes as a detoxifying mask and has many benefits. In addition to that, it can heal and prevent skin conditions such as acne if applied on the skin regularly. 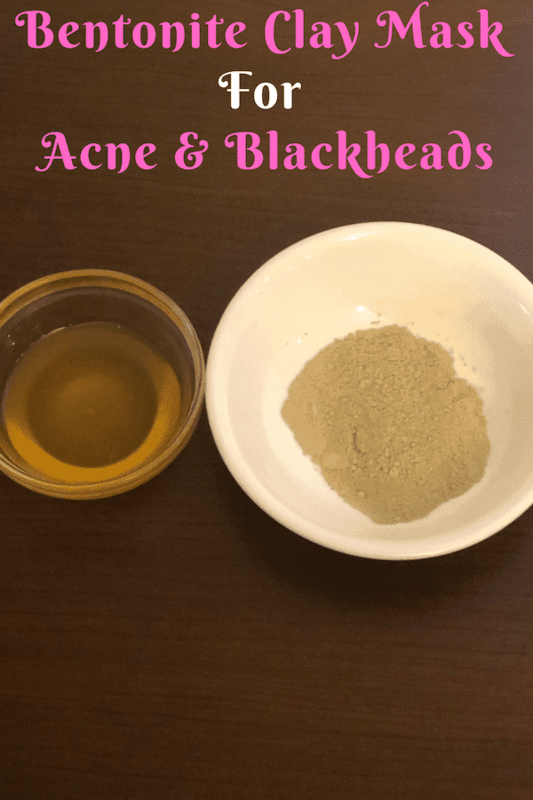 How does bentonite clay mask treat acne and blackheads? This clay is useful for an oily, blackhead, and acne prone skin. It helps to unclog toxins from the skin pores and reduce the excessive production of sebum. Too much sebum can cause acne breakout as well as blackheads. Bentonite clay has essential minerals which help to strengthen your skin’s elasticity besides making it soft and radiance. The mask facilitates the removal of dead cells from the skin hence aid in regenerating and renewing it. Ingredients in this bentonite clay mask. Apple cider is an excellent astringent; it helps to absorb excess oil from the skin. It is antibacterial and antiviral properties which help to reduce as well as prevent acne breakout. I am using apple cider vinegar with bentonite clay because it aids in reducing the appearance of fine lines and age spots from your face. Therefore it can help reduce the signs of aging and makes your skin look more radiant and young. Besides apple cider vinegar helps to balance the skin’s ph which helps prevent the skin from being too oily or too dry. Honey is also antibacterial and antiviral; it helps clarify and clear the skin from any toxins. It has high amounts of antioxidants which help nourish and slow down the early signs of aging. Honey also helps reduce dark spots on the skin hence it is vital for a softer, radiant and healthier skin tone. Use honey to make your facial cleansing soap to aid in clearing and preventing acne breakout. 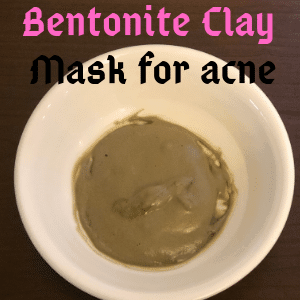 How to make a homemade bentonite clay mask. In a small bowl, add bentonite clay, pure honey, and apple cider vinegar. Mix until you get a thick paste. Rinse your face using lukewarm water to open your skin pores and apply this mask on your face. Please do not use it on your eyes and eyebrows; it will be tough to remove. Let the mask sit on the surface of your face for about 15-25 minutes until it dries. It will kind of crack on your face when dry, and your skin will feel a little tighter and tingly. Rinse the mask from your face using lukewarm water and then cold to freshen it. Dry your face, then apply your moisturizer. Apply this mask at least two to three times a week for better results. I do not advise applying bentonite clay mask every day. Though, bentonite clay purifies and dry off excess oil from your face, using it too often will make your skin too dry. Please do not overdo it. You will feel your feel little tingly and your skin tightens. This is normal so do not panic because that is how it works. Just relax and let it do its job. This mask is a little messy so please do not put on your nice clothes when applying it. An old t-shirt you do not wear to work will work well. Bentonite clay mask can clog your drain; please do not allow it to run down the pipes. Previous Post: « Quinoa salad simple recipe with black beans.